Language Learning and Digital Technology – Digital technology to support language learning and teaching. Digital technology to support language learning and teaching. Do or Die is a great TV series from the National Geographic Channel and so guarantees lots of informative engaging content that can be used in class. What are the most popular sports in the USA/Middle East/Europe/Asia? Do you know about any strange sports that are unique to particular countries? Watch the start of the video clip, did your group mention these sports? What are the bulls selectively bread to possess? What speed can a bull reach when charging? What is being hit by bull like? Then show the three options on the clip. 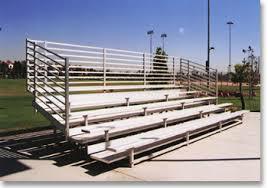 What does flank / bleacher mean? Q1. What do loud noises do to the bull? Raise its hearbeat. Q2. How far can a large fighting bull toss a full grown man? More than 30 feet / 10 feet higher than a single story house. Make your final choice: A, B or C.
Stop clip, students pick final choice and write on mini whiteboards. Which choice is correct / wrong? Why? A – Move towards the bull’s flanks: Lateral positioning of eyes, 330 degree panoramic vision, blind-spot behind, bucking bull not appropriate. B – Wave a Light-Coloured Cloth: matador waves red cape, white has opposite effect? No. Bulls are colour blind. C – Run down the bleachers: forelegs shorter than hind legs. Poor depth perception shadows/downwards slopes. My teenage classes love the Do or Die episodes. You can play them without a worksheet and ask questions – I’ve prepared some activities to go with this episode. I normally stop the video after the options and get the students to discuss then write their final decision (A, B or C) on mini white boards to find out who would survive. A meteor or meteorite is a fragment of rock or iron from outer space, usually a meteoroid or asteroid, which survives passage through the atmosphere as a meteor to impact the surface of the Earth. Meteorites are believed to originate in the asteroid belt between the planets of Mars and Jupiter. A meteorite may range in size from less than a gram to more than 60 tons. When the path of these space rocks intersects with Earth’s orbit, the meteoroid enters the atmosphere at high velocity causing the luminous phenomena we call a meteor or shooting star. 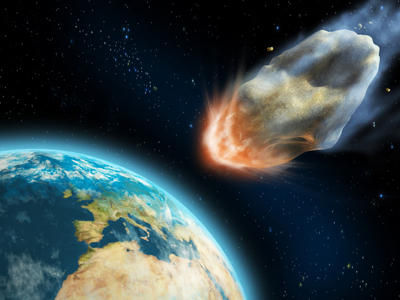 What would you do in the event of a meteorite hitting your home town? In which country does the morning begin? What do scientists call the explosion? And whatdoes it generate? What is the speed of the meteor? How much glass is shattered? When did the giant meteor air-burst hit the Siberian forest in Russia? How many building were damaged in this particular case? Did you make the right choice!? 2. _______________ = explode or cause to explode. 3. 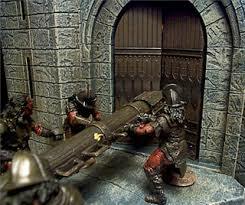 _______________ = an apparatus designed for carrying out executions by beheading. 4. _______________ = a stone or concrete edging to a street or path. roof for carrying off rainwater. Two other bombs failed to . A runaway car towards them. We have to unblock the , it’s full of leaves. The French dates back to 1789. I tripped over the walking to school. Lit. to cut or slice someone severely. He broke a mirror and the glass cut his hand to ribbons. Fig. to criticize someone severely. The critics just cut her acting to ribbons! If someone has dodged a bullet, they have successfully avoided a very serious problem. The people in this city are lucky; they dodged a 12,000 ton bullet shot from outer space. I’m really keen on using wikis to manage information on my language courses. There are so many important messages, rules, procedures, dates to inform students of – never mind all the course content that has to be negotiated! Wikis are websites which can be edited collaboratively to share knowledge and coursework along with the important messages we as teachers are often duty-bound to pass on. I generally start all my adult courses with a class wiki. It can be used as a platform to store the important (and often boring!) procedures and school policies which most often students easily forget – they are understandably more keen on starting the actual course and getting to know their classmates and teacher. At their most basic level they can be used as a simple online platform for displaying and stroing course information which students can easily refer to on their mobile phones. I personally find it really useful for posting course announcements for important course dates, in particular: end-of-course assessments, deadlines for written work, public holidays, or even rare school closures (heavy rain or surprise national holidays!). It helps avoid the he-said-she-said chatter regarding when the next assessment is. I really like using PBworks as it is fairly straight forward to use. If your learners can navigate and use Facebook and Instagram they should be fine with PBworks. Over a language course I aim to encourage students to become more autonomous learners. Among a number of things, this involves the students taking greater control of the wiki and posting their own information. For a number of years I used wikispaces until it was closed in 2018. I then returned to using PBworks, formerly PBwiki, a system I’d previously experimented with when I started using wikis in my lessons. If you are interested in using a wiki to help your learners, I’d highly recommend PBworks. I’m a big fan of podcasts. Every day I listen to one relating to one of my personal interests: films, politics :(Brexit), Scottish football, comedy, news, language learning and teaching. Tony Bates is definitely an online learning leader and legend so it was great hearing from him. I found out about Tony while doing my MA and his website is another favourite of mine. From Tony’s website you can download his book Teaching In a Digital Age. I finally had the opportunity to experiment with an application which a colleague (Stella!) mentioned to me quite a few months back. It’s called Padlet and can be used for collaborative work with students sharing things such as written work, links, pictures, ideas, vocabulary and poems. Once you sign up, you can create your Padlet and by sharing the unique URL students are able to add their work to the Padlet board. I was able to monitor their progress via the IWB which was much less invasive than walking around the class and peering over shoulders. It is a very easy application to use and has so many uses. Stella mentioned using it for presenting homework and sharing new vocabulary. Once you make a Padlet, students can access it by using the URL which you can give them in class, post on a wiki or send via email. The URLs can be quite long but you can easily shorten them using a website such as bit.ly. I made a quick tutorial if you are interested in seeing how it looks! The BBC’s Word of Mouth is one of my favourite radio shows. While listening to a recent episode, Emoji: The Future of Language, it was reported that UK adults now spend on average more than 20 hours a week online!1. One of the reasons for this is the use of apps in digital communication which has also led to more and more people using emojis. In 2015 an emoji, ‘Face with Tears of Joy’ was the Oxford Dictionaries Word of the Year (even though it’s actually a pictograph). Emojis are a fun way for people to express emotion and empathy in online interaction. Have you ever used emojis in class? I haven’t yet but it got me thinking as my students (adults, teens and kids) are likely to be using them every day. Vyvan Evans highlightss that when we communicate we often use speech prosody to better transmit what we want to say; this includes intonation, tone, stress and rhythm to indicate sarcasm, irony, to show contrast and emphasize among many other things. To compensate for the lack of this paralanguage in written communication we tend to use emojis which add ‘personality’ to our messages. 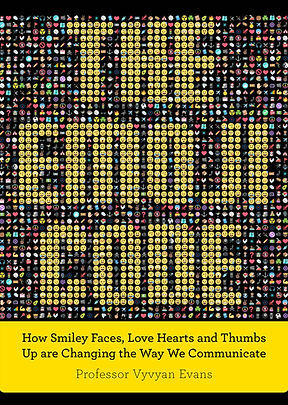 Vyv also mentions research that suggests the use of emojis in the digital age makes us more effective communicators. I found a good idea for the use of emojis in the classroom from Tim at freeennlgishlessonplans.com. He posted a lesson plan after attending a conference by Lindsay Clandfield. I think it could be easily adapted for many different classes. A final, interesting finding was the use of emojis in different countries; Canadians use the 💩emoji most, French 💕 emojis (four times more than anyone else! ), Arabic users more 🌺 emojis, and Brits…. 🍺! 1. Ofcom Adults’ media use and attitudes report 2016. Emojipedia – The emoji search engine. A fast emoji search experience with options to browse every emoji by name, category, or platform. This is another special multimodal story from The Guardian and explains the fate of a family who were affected by a bushfire in Tasmania. This story is definitely for high level students, advanced or proficient levels. It’s a fairly topical story this time of year. I recently found myself teaching my elementary students the meaning, pronunciation and etymology of the word ‘avalanche‘ after the disaster at the Hotel Rigopiano near Gran Sasso mountain last month . We attended a concert here in Doha which was arranged to help raise money for the Municipal Councils of Fiastra and Acquacanina in Le Marche, Italy. These two villages were affected by the recent earthquakes in Italy. Included in the story are interviews with people affected, videos, maps of the area, and animations. Students are always interested in finding more about English speaking countries, none more so than good ol’ blighty. Most of my students here in Qatar have only ever visited London. They enjoy the shopping, fancy restaurants, tourist sites, palaces and museums; so why not teach them about the subterranean sewage system!? Something different and not likely to be found in the old fashioned textbook. Being serious, this story is interesting and has lots of short accessible written texts, sound effects and authentic native speech which is sure to engage and interest them. Multimodal media is another way of providing students with the authentic contextualised input that is required when learning a language. Immersive interactive reading is now freely available online and uses images, music, graphic design, animation and videos of spoken and written language. Richard Kern (2015:194) notes that multimodal communication isn’t new and has in fact been the norm for most modes of communication for a long long time; just think of those beautifully designed medieval manuscripts or rebus books, theatre performances, science textbooks, concrete poetry, comic books, newspapers, magazines, television, the list goes on. I often read The Guardian online and have come across news stories or special segments which include multimodal media. I have included some of these articles here as I think not only are they very interesting but can also be of great help to learners of English. If you are interested in finding out more about the integration of reading material into classroom practice, I recommend reading the article by Klaus Brandl. I have mainly used these interactive reading stories as homework exercises; we discuss some of the main issues in class and students can offer ideas on what they expect to find in the stories. I’ll also pre-teach any interesting language. Brandl, Klaus (2002) Integrating Internet-based reading material into the foreign language curriculum: from teacher- to student-centred approaches. Kern, Richard (2015) Language, Literacy, and Technology.